Southern Utah University was ranked third for Best Public College in Utah for 2018. The ranking averaged results from college ranking systems with thousands of real student review scores to produce a unique rating. According to College Consensus, Utah has developed some of the best public regional universities in the West, including Southern Utah University and Weber State. 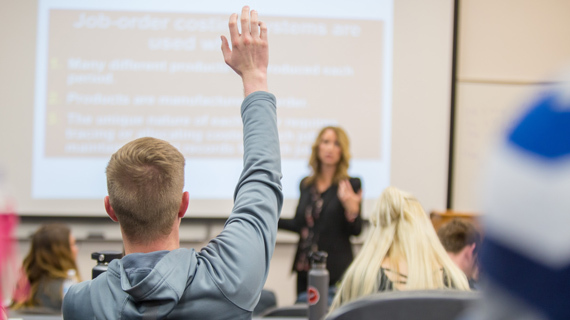 SUU is an institution that puts affordability, accessibility, and outreach first, and in addition to earning recognition for quality, SUU has proven to be a leader in areas like online education and adult learning. With Utah’s small population scattered across a huge land, regional institutions are crucial for making sure Utah’s youth and working adults alike have opportunities for higher learning. College Consensus reported that SUU’s small student body provides students a high degree of personalized attention and student support. Though smaller in size, students are given options and resources that only a major public university can provide; including more than 140 undergraduate programs in all areas, fields, and disciplines. Service learning is also key for the university. Different centers lead student outreach efforts, including the Community Engagement Center, Creative Engagement Center, and the Outdoor Engagement Center. There are also centers like the Leavitt Center for Politics and Public Service which focus on leadership, service, citizenship, and research. SUU’s commitment to the community has not gone unnoticed, as the university celebrated four straight years of recognition on the President’ Higher Education Community Service Honor Roll. SUU was given a 56.2 rating by College Consensus, an average between the publisher and student consensus. The publisher consensus is a school’s average rating score from the most respected college rankings publishers. A school’s average student review score from around the web comprises the student consensus. Learn more about the methodology here. The complete ranking can be found on the College Consensus website.